Since the month of April withholds the wonderful but sadly understated, Earth Day, it only seems appropriate that we create a blog that discusses how Poorman’s Heating and Air Conditioning’s biggest HVAC manufacturer stays green. Demand for environmentally responsible buildings grows as people realize that it’s not a cost, it’s an investment. Green buildings are designed with energy efficiency, indoor air quality (IAQ), and sustainable materials in mind. The right HVAC system is critical to green building. As a leading global supplier of HVAC systems and services, with more than 450 LEED Accredited Professionals, Trane can help you achieve your green building goals. Because more and more businesses recognize the importance of building green, Trane actively supports the Green Building Councils (GBC) around the world (such as USGBC, Canada GBC, Indian GBC, China GBC, Brazil GBC, Mexico GBC, etc) and Green Building conferences such as Greenbuild and Green Building Congress. We are advancing building technologies and solutions that accelerate the design and construction of green communities. Here are just some of the ways Trane is helping buildings go green and attain LEED certification. 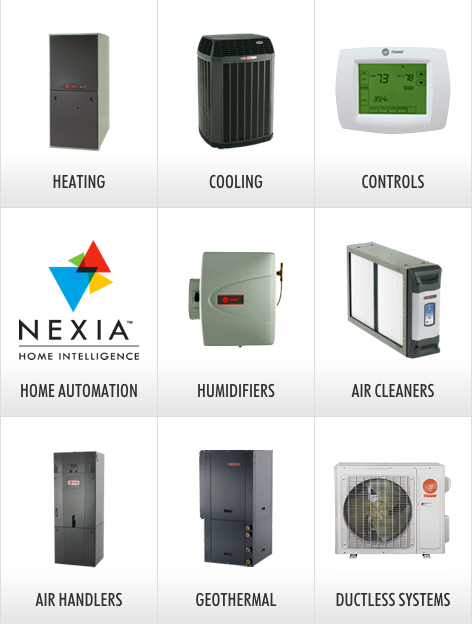 EarthWise Systems use state-of-the-art Trane products, systems and controls to optimize performance. This includes the ability to balance installed cost and operating cost while improving comfort, indoor air quality, and acoustics. EarthWise Systems provide high efficiency/low emissions performance over the entire lifetime of the building with advanced documentation sustaining the performance. TRANE CleanEffects™whole-house air filtration system for the residential sector removes up to 99.98 percent of particles and allergens from the filtered air, making the home a more healthful place for living. 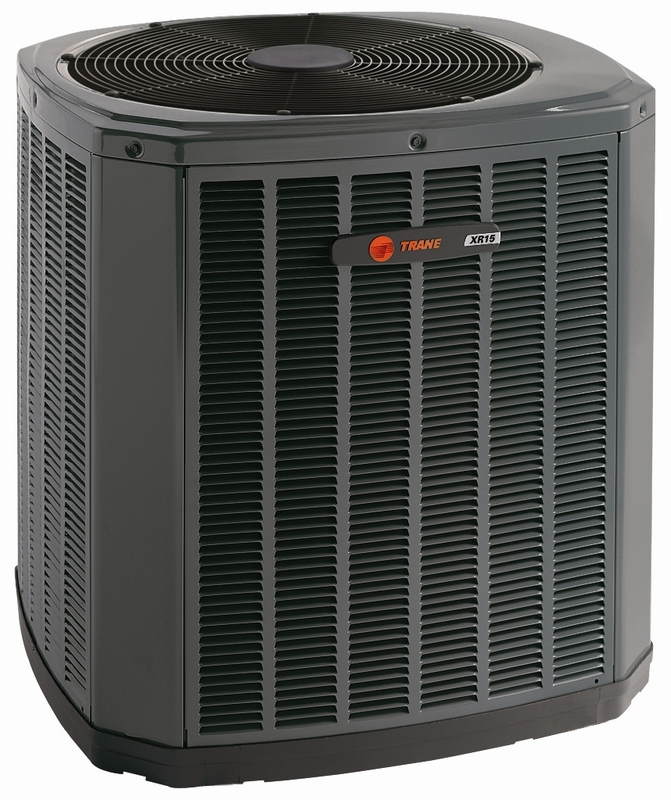 Learn more about Trane residential products. Performance Agreements for Comfort from Trane (PACT™) guarantee energy cost savings enabling businesses to invest future savings today. 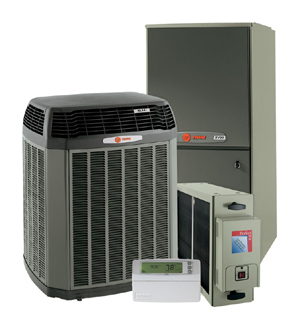 Check out these energy saving items from Trane and your Trane provider, Poorman’s Heating and Air Conditioning! **Plus they’re all also eligable for a 2013 Federal Tax Credit! Air filters keep your HVAC units working efficiently and safely. This is done by trapping particles like pollen and dust particles that would otherwise be spread throughout your home through the air vents. Although there are plenty of choices when it comes to choosing an air filter, some options are better than others. There’s the option to purchase a disposable air filter, which allows you to replace the filter on a regular basis or when the filter is no longer clean enough to function. There’s also the option for a washable air filter, but this style of air filter is a poor choice for you to buy. The performance is poor. The performance for an air filter is based on a MERV rating. The ratings can range from a 1-16. However, a washable air filter typically has a MERV rating of 1 to 4. This means that although a washable filter may collect bigger particles (dust) smaller particles like pet dander, cigar smoke or hair spray manage to escape the filtering process. This means loose particles are freelancing around your home. They’re needy. Washable air filters require more maintenance than any other. Although the thought of washing your filter and returning it to your HVAC unit sounds fairly simple…you mustn’t forget that the water your filter was scrubbed and rinsed in is not to be dumped at random. This is because that water was exposed to bacteria, it’s considered a wastewater hazard and should be disposed of appropriately. Who has extra time for that? Also, if you fail to return the filter before it is completely dry, fungus can grow on your filter and spread it throughout your home. They cost more. Even if you buy just one at a time, each washable air filter costs more than an equivalent disposable filter (which may do a better job in your home than the washable one). In previous Poorman’s Heating and Air Conditioning blogs, I have stressed the importance of ensuring your heating and air conditioning units are clean and up to standards before both the winter and summer seasons. Now not only is it important to get this checked, but it also could be life threatening if you don’t. Mold has been on the increase in recent years, and is seriously effecting our indoor air quality. Recently the Wall Street Journal published an article claiming that mold complaints are on the rise. Health issues are visible only when surrounded by a mold infestation, when removed from the area symptoms have a tendency to subside. Unfortunately, the dreaded mold and it’s partner in crime, bacteria all live in HVAC systems. Just one spore of mold can grow into a quantity the size of a quarter in just a few short days. The problem is that there’s no way to completely get rid of them in indoor air. Thus, the indoor air is infected and mycotoxins are spread throughout the air and inhaled causing several health problems, even damage to the central nervous system. According to the American Lung Association, a dirty HVAC system can harbor contaminants responsible for infectious diseases, including chicken pox, measles and influenza. Although you can’t get rid of mold and mildew completely, there is something you can do before this hazard becomes harmful to your health. Keeping up with maintenance to your HVAC system can help prevent microbial growth and the various health conditions caused by poor indoor air quality. Not only does adequate maintenance lead to better health and greater operating efficiency, but it also extends the life of the HVAC system and lowers energy bills. To help provide those in your home with the air quality they deserves visit Poorman’s Heating and Air Conditioning website. Poorman’s is found in the Greater Fort Wayne area. Is your HVAC collecting mold?